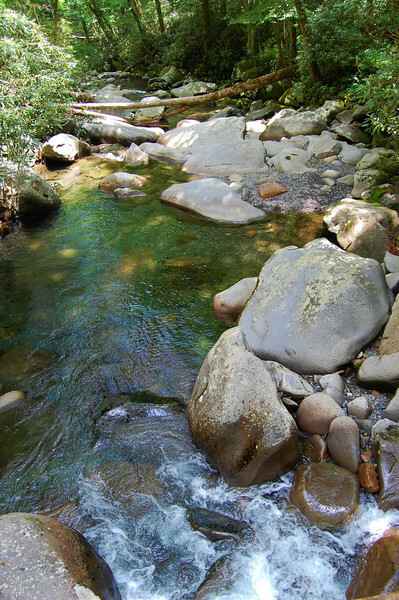 Today we were doing another relatively short hike in Great Smoky Mountains National Park. 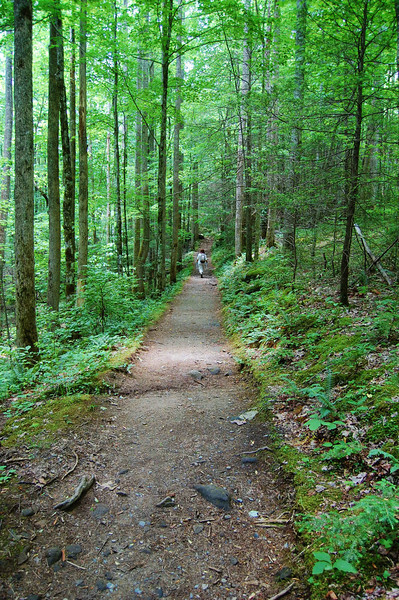 We followed the directions for the Porters Creek Trail as listed on the Hiking In The Smokys website, a great resource for descriptions and ratings of the various hikes. I selected this hike for today, because I was looking for something relatively short due to our late start. 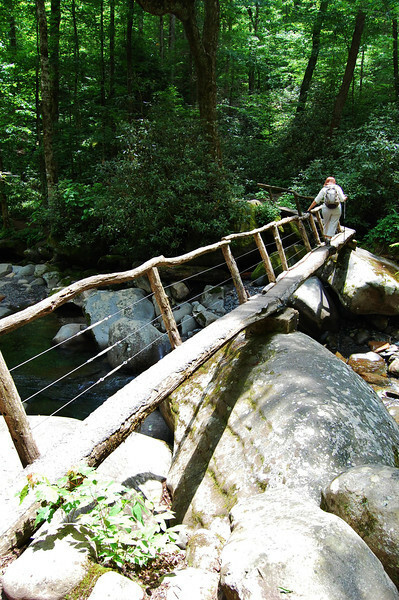 It's a four-mile round-trip at lower elevation and rated as moderate. We eventually arrived at the trailhead. We walked past the gate onto the trail. 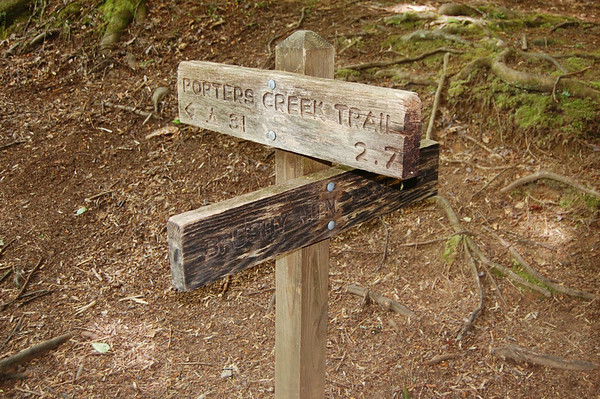 As the sign indicates, you can take a combination of trails to the top of Mt. 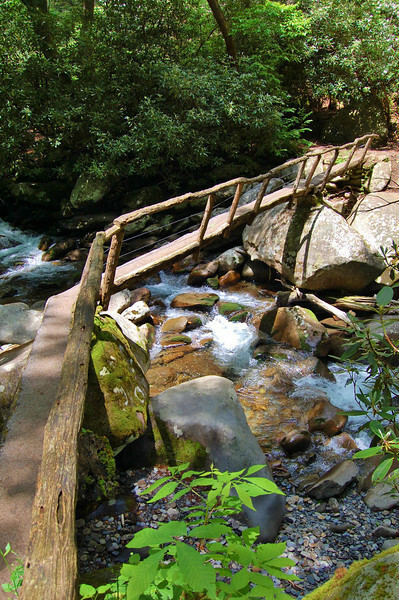 LeConte, but it's a long 9.1 miles. and it veers away from the water a few times. 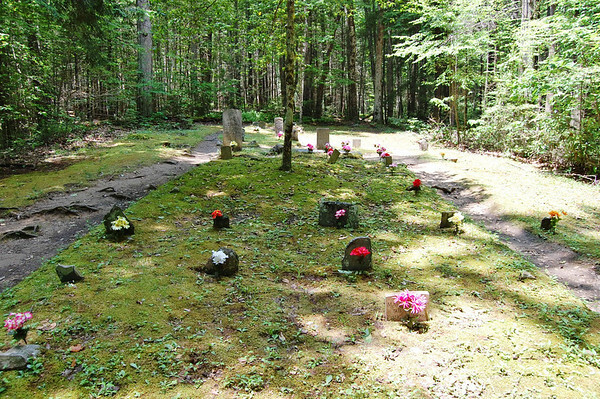 We passed the remnants of old stone walls, and we walked up to the Ownby Cemetery where the markers indicate burials here in the early 1900s. 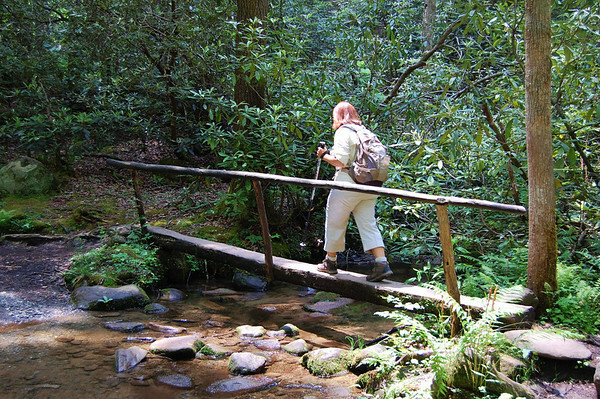 Continuing on, we crossed a short footbridge as the trail proceeded up. The trail was a bit more uphill than I thought it would be, but Linda was in workout mode and setting a pretty quick pace. 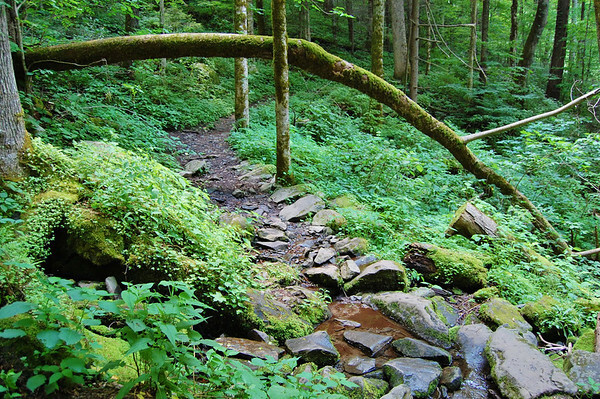 and the Brushy Mountain Trail continued to the right as the gravel road. 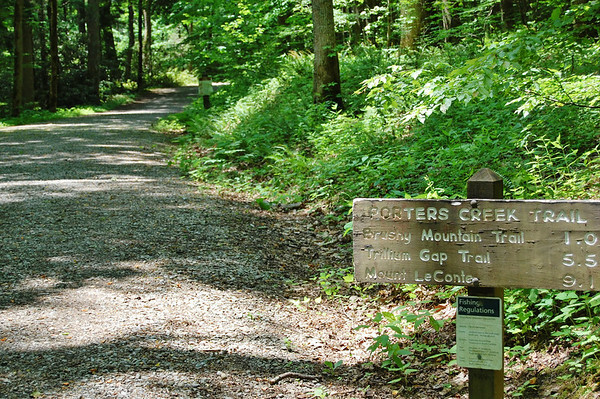 The Porters Creek Trail goes 3.7 miles to a park shelter, but most people only hike the first 2 miles to Fern Branch Falls, and that was our plan today. Linda kept her fast pace until we came to another footbridge which is long and fairly high - I read in one place it was the highest footbridge in the park. It doesn't look all that high, but I bet the handrail on this one is used more than most. As it turned out, the area below that footbridge is one of the best places on the trail to take a break, have some lunch, and enjoy the surroundings. Moving on up the trail, there were some pretty, small flowers and then something black and shiny caught Linda's attention. 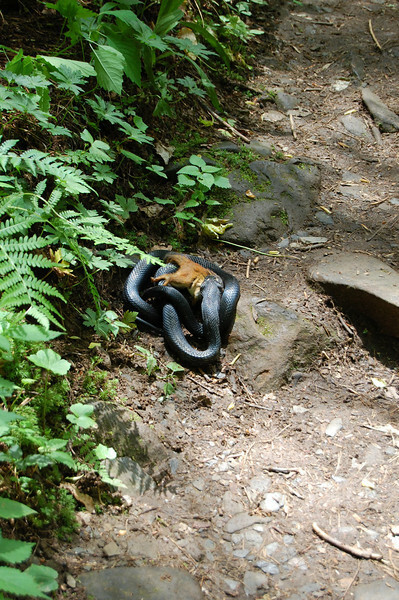 In the trail was a snake consuming a chipmunk. You may want to skip this part if you don't like snakes or don't like to see nature in action. followed by a video of the snake working on swallowing the small mammal. Now, for us, this was one of those interesting wildlife moments, but I have to say both of us were a little saddened by a second chipmunk that was helplessly watching. After that little encounter, we weren't far from our destination and we met a few others on the trail heading back down. We let them know about the snake just in case they would be interested .... or terrified. 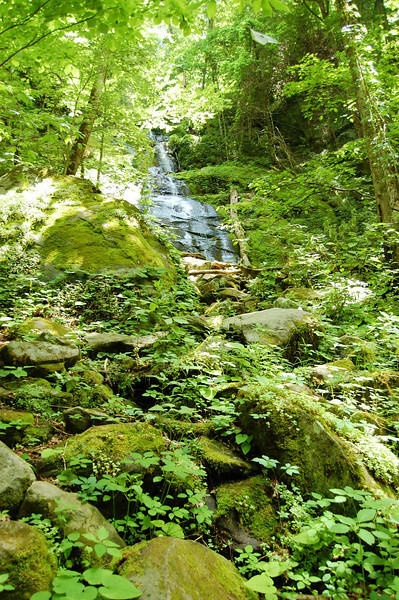 Linda looked to the left up the stream and noticed Fern Branch Falls. We could have easily missed it. 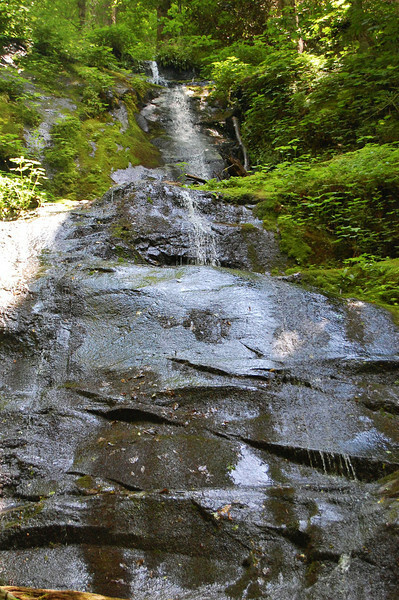 Rather than scramble up the rocks to the base of this minor waterfall, we had our lunch on the rocks by the trail. Neither of us were interested in the possibility of poison ivy, but I did make my way up to get a closer look after we ate. The falls were supposed to be the highlight of this hike, but with the low flow, they weren't. We were much more excited by our snake encounter. We headed back down the trail. In about forty minutes, we had reached the parking lot. It was a good workout on the way up, and then it was really easy on the return. 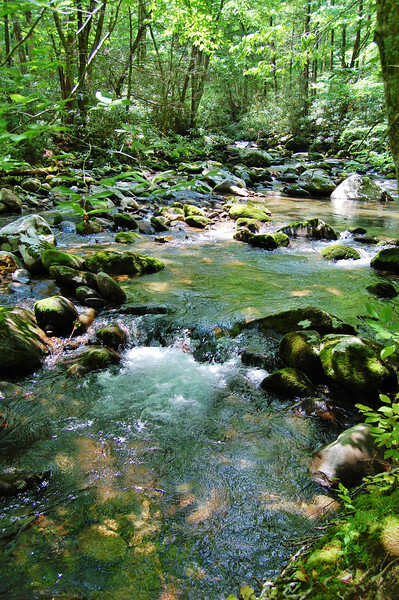 Hiking along streams and water features is always nice, and this was a good hike, but certainly not one of our favorites. 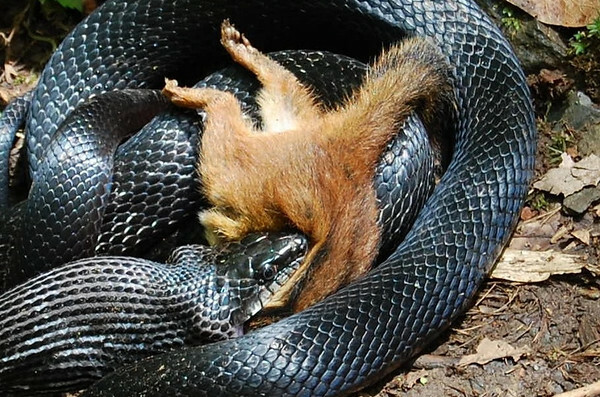 Our memory of the Porter Creek hike will be the snake with the mouthful of chipmunk.